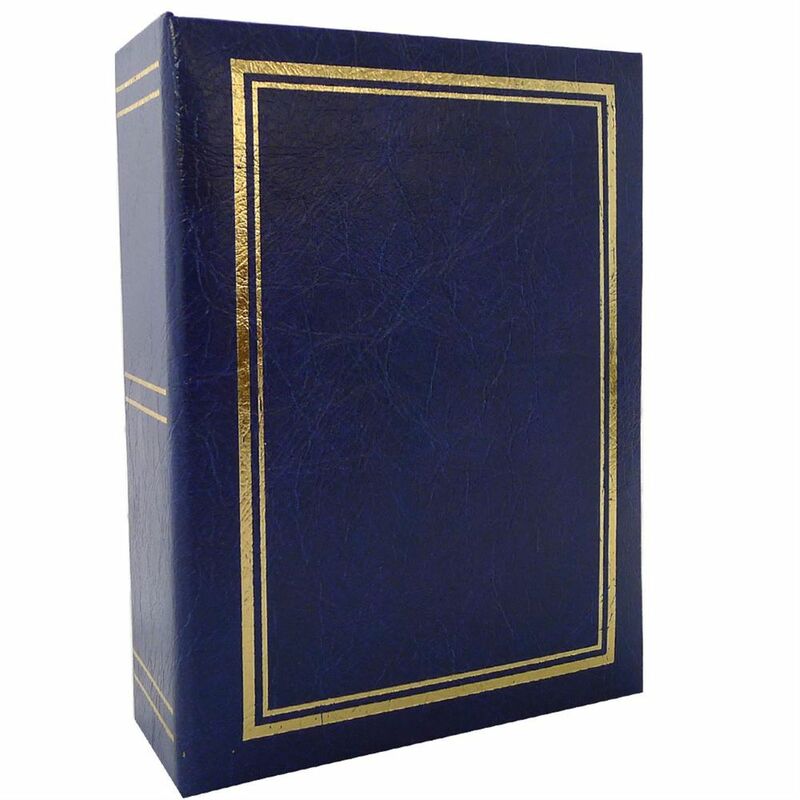 Currents: Classic Blue Mini Max 6x4 Slip In Photo Album - 96 Photos Overall Size 6.5x5"
The Vinyl Minimax album, is perfect for 96 photographs and ideal for carrying around as it is really compact. The spine measures approximately 2 inches across so is fairly chunky, but the gold lines across it, make it look very smart on a bookcase. The clear plastic pockets take a 6x4 inch photo in portrait mode and the photograph is slipped in from the top, so it remains securely in place. There is a white plastic divider in the pocket, so that the photographs do not stick together when placed in the pocket, back to back. The rich, blue cover has two borders around it in gold, one wide and one narrow, giving it a classy feel and the range has green and red coloured albums as well. x Classic Blue Mini Max 6x4 Slip In Photo Album - 96 Photos Overall Size 6.5x5"